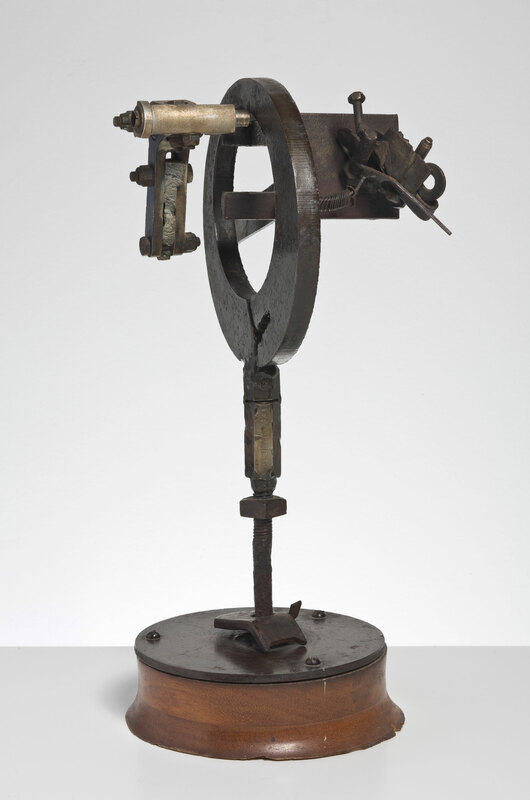 In this iron and wood assemblage sculpture, Riddle explored the formal qualities of line and shape. The artist was greatly influenced by the work of his mentor Noah Purifoy, as well as that of John Outterbridge and the abstract sculptor David Smith. Those influences are especially evident in this nonrepresentational work. "Untitled." Now Dig This! Art in Black Los Angeles, 1960–1980 Digital Archive. Los Angeles: Hammer Museum, 2016. https://hammer.ucla.edu/now-dig-this/art/untitled-riddle.